$29.95 plus tax is charged on the first of each month until cancelation has been received via email. This is good for one location. You may add all locations on for only an additional $10. Cancel anytime and there is no fee to cancel. - Call to reserve now and receive the rest of this month free with the purchase of next month! $24.95 plus tax per child is charged on the first of each month until cancelation has been received via email. This is good for one location. You may add all locations on for only an additional $10. Cancel anytime and there is no fee to cancel. $19.95 plus tax per child is charged on the first of each month until cancelation has been received via email. This is good for one location. You may add all locations on for only an additional $10. Cancel anytime and there is no fee to cancel. 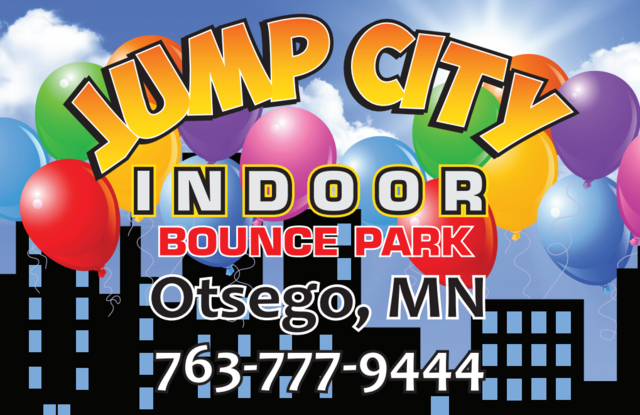 Save $20 with every $100 you spend on a birthday party or inflatable rental our instant certificates. Not Valid with any other coupons, discounts or promotions. Limit 2 per Party or inflatable rental. Your deposit must be paid at the time of booking and your vouchers are available for the remaining payment that is due.